Johne’s disease has been diagnosed in many zoos and the infection threatens some very valuable animal collections. In response to this threat, a meeting of concerned zoo veterinarians and managers was held at the White Oak Conservation Center, Yulee, FL in 1998. The White Oak Proceedings laid the groundwork for an organized way to limit spread of MAP among zoological institutions. Specific control measures must be carefully tailored to each institution. The images below show just some of the MAP-susceptible zoological species that have been diagnosed with Johne’s disease. The names of institutions where these MAP-infected animals resided is withheld. 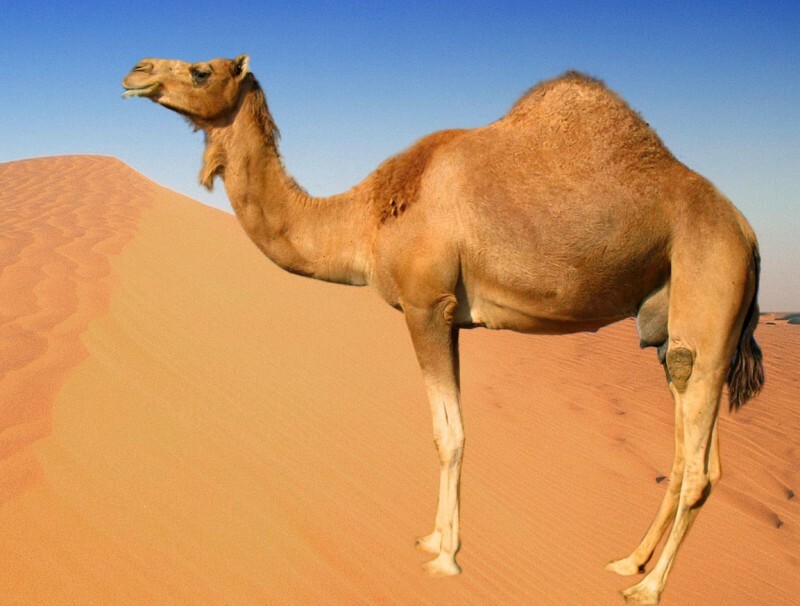 From Wikipedia: The dromedary has not occurred naturally in the wild for nearly 2,000 years. It was probably first domesticated in Somalia or the Arabian Peninsula about 4,000 years ago. In the wild, the dromedary inhabited arid regions, including the Sahara Desert. The domesticated dromedary is generally found in the semi-arid to arid regions of the Old World, mainly in Africa, and a significant feral population occurs in Australia. Products of the dromedary, including its meat and milk, support several north Arabian tribes; it is also commonly used for riding and as a beast of burden. Alharbi K.B., et al. 2011. Pathology and molecular diagnosis of paratuberculosis of camels. Tropical Animal Health and Production;10.1007/s11250-011-9905-2 [doi]. Ghosh, P., et al. 2012. Genome-wide analysis of the emerging infection with Mycobacterium avium subspecies paratuberculosis in the Arabian camels (Camelus dromedarius). PLoS One, 7(2): e31947. Salem, M.A., et al. 2019. Investigation of Mycobacterium paratuberculosis in Arabian dromedary camels (Camelus dromedarius). Veterinary World, 12(2): 218-223. The topi prefers certain grasslands in arid and savanna biomes. Human hunting and habitat destruction have further isolated their population. The following countries have been found to contain topi: Burundi, Democratic Republic of the Congo, Kenya, Rwanda, Tanzania, and Uganda. 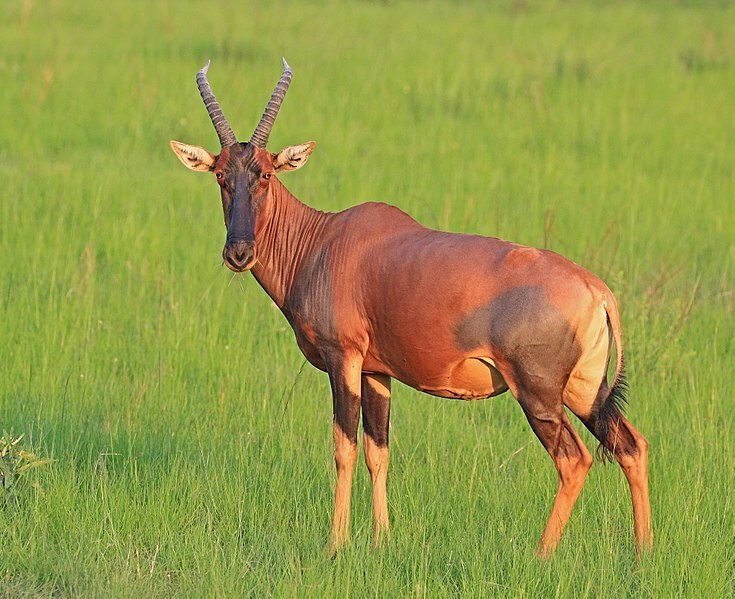 Topi live primarily in grassland habitats ranging from treeless plains to savannas. The impala is a medium-sized antelope found in eastern and southern Africa. The sole member of the genus Aepyceros, it was first described to European audiences by German zoologist Hinrich Lichtenstein in 1812. Two subspecies are recognised—the common impala, and the larger and darker black-faced impala. 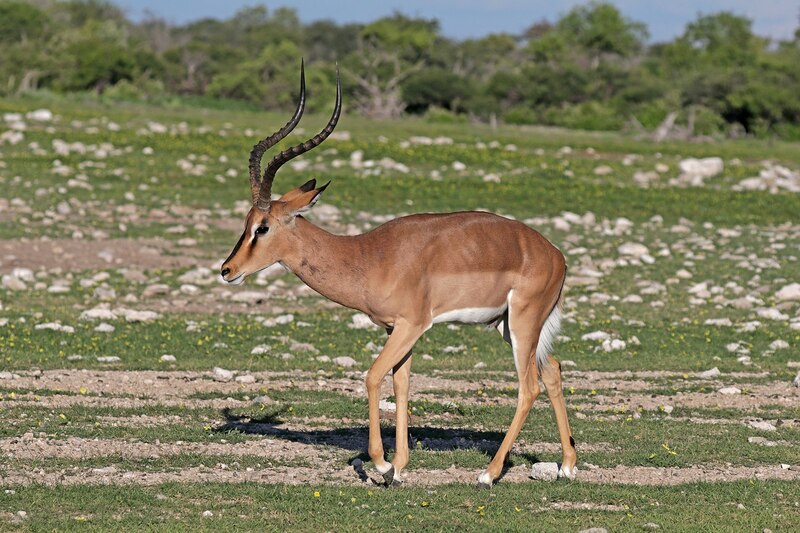 Thomson’s gazelle (Eudorcas thomsonii) is one of the best-known gazelles. It is named after explorer Joseph Thomson and is sometimes referred to as a “tommie”. Thomson’s gazelles can be found in numbers exceeding 550,000 in Africa and are recognized as the most common type of gazelle in East Africa. The Thomson’s gazelle can reach speeds of 50–55 miles per hour (80–90 km/h). 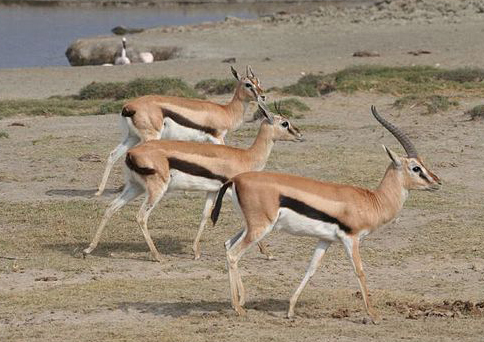 It is the fifth-fastest land animal, after the cheetah (its main predator), pronghorn, springbok, and wildebeest. Springbok inhabit the dry areas of south and southwestern Africa. The International Union for Conservation of Nature and Natural Resources classifies the springbok as a least concern species. No major threats to the long-term survival of the species are known; the springbok, in fact, is one of the few antelope species considered to have an expanding population. They are popular game animals, and are valued for their meat and skin. The springbok is the national animal of South Africa. 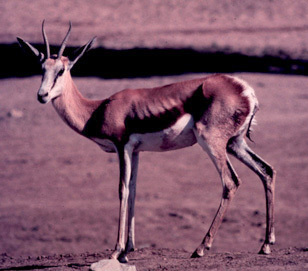 The animal shown below has clinically obvious Johne’s disease and was photographed at a zoo in the U.S.
Springbok with clinical signs of Johne’s disease. Photo by M.T. Collins. The nyala is a spiral-horned antelope native to southern Africa. The coat is rusty or rufous brown in females and juveniles, but grows a dark brown or slate grey, often tinged with blue, in adult males. Females and young males have ten or more white stripes on their sides. Only males have horns. 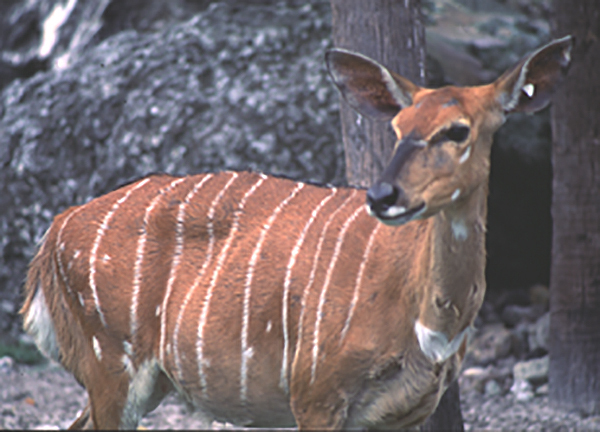 The nyala feeds upon foliage, fruits and grasses, with sufficient fresh water. A shy animal, it prefers water holes rather than open spaces. 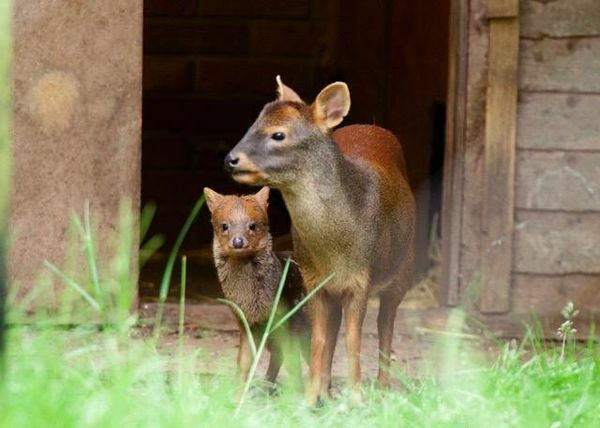 The nyala’s range includes Malawi, Mozambique, South Africa, Swaziland, and Zimbabwe. Female Nyla (Tragelaphus angasii) with Johne’s disease. Photo at a U.S. zoo by M.T. Collins. Johne's disease has been diagnosed in roughly half of the zoos in North America. There is no proof as to how this has happened but domestic livestock, such as goats in petting zoos, are a likely culprit. Today, efforts are in place in the U.S. to limit spread of MAP through trade of animals between zoological institutions.